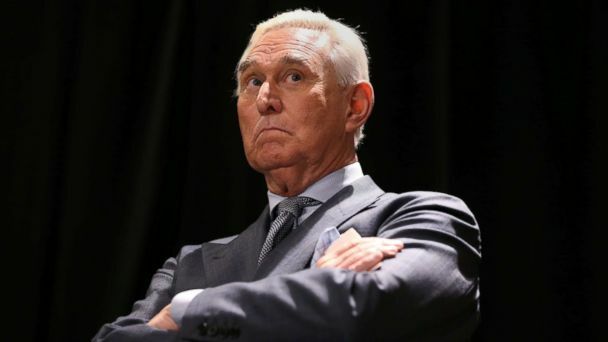 A federal judge on Friday issued a limited gag order in the case of Roger Stone, the veteran and voluble political operative and former adviser to Donald Trump, in an effort, the judge said, to protect potential jurors from being "tainted by pretrial publicity." Judge Amy Berman Jackson described the scope of the order as "narrowly-tailored," and will allow Stone, known for his frequent and colorful television interviews, to continue speaking publicly about the probe - as long as he refrains from doing so near the federal courthouse in Washington, D.C.
That part of her order applies to all the lawyers and witnesses involved in the case, including the special counsel's office. "All interested participants in the matter, including the parties, any potential witnesses, and counsel for the parties and the witnesses, must refrain, when they are entering or exiting the courthouse, or they are within the immediate vicinity of the courthouse," Jackson wrote, "from making statements to the media or to the public that pose a substantial likelihood of material prejudice to this case or are intended to influence any juror, potential juror, judge, witness or court officer or interfere with the administration of justice. Jackson cited the "size and vociferousness of the crowds" gathered outside the courthouse for Stone's pre-trial hearings to justify her ruling. But attorneys and witnesses in the probe were also hit with a much broader gag order, which prohibits them from "making statements to the media or in public settings that pose a substantial likelihood of material prejudice to this case," Jackson wrote. The special counsel's office indicted Stone in January on five counts of lying to Congress, as well as witness tampering, and obstruction of justice. He pleaded not guilty to all seven counts. At a preliminary court hearing earlier this month, Jackson warned she might impose a gag order on Stone, a self-described "dirty-trickster" known for his gregarious relationship with the press. He went on a media blitz in the days following his arrest in Florida that caught the judge's attention. She warned him not to treat the pre-trial process "like a book tour. His media appearances have tapered off since that warning. Stone's attorneys objected to the prospective gag order in court documents filed last week, arguing that such a move would unfairly silence their client. "We are pleased that Mr. Stone's First Amendment Rights have been safeguarded. Courthouse steps are reasonable places for restraint for all," Stone attorney Bruce Rogow told ABC News in a statement Friday. Judge Jackson reserved the right to impose additional restrictions on Stone in the future and warned him that, if he continues making public statements, he may only hurt his own case and have no one to blame but himself. "Finally, while it is not up to the Court to advise the defendant as to whether a succession of public statements would be in his best interest at this time, it notes that one factor that will be considered in the evaluation of any future request for relief based on pretrial publicity will be the extent to which the publicity was engendered by the defendant himself," she wrote in her order.